This fragile Earth deserves a voice. It needs solutions. It needs change. It needs you. Mumbaikars are fed up. A city so great, remains great only till the citizens are happy. A thin land strip reclaimed on sea, crowded with people, offices and factories can’t run solely on spirit. As trains crush people inside and under it, and concrete constantly blurs vision; shadowing landscape that was once gifted with trees, scintillating beaches and four beautiful rivers. Endowed with sea breeze that washes away all smog twice a day or more, city still fights to breathe. The few remaining open spaces are now slowly going away. For various reasons, open space policy is either ignored or the citizen activists who battle for it are rebuked. Mumbai battles to save its open spaces. But it’s caught between land sharks, government bodies and citizens who want just one thing – to breathe. To breathe easy. What more knowledge do the city planners require to realize, open space cannot be created by giving away open space. De-centralisation of important offices, better public transport, strict policies for both private vehicles and industries can help. But while ignoring all this and further eating up green spaces, is certainly not advisable. 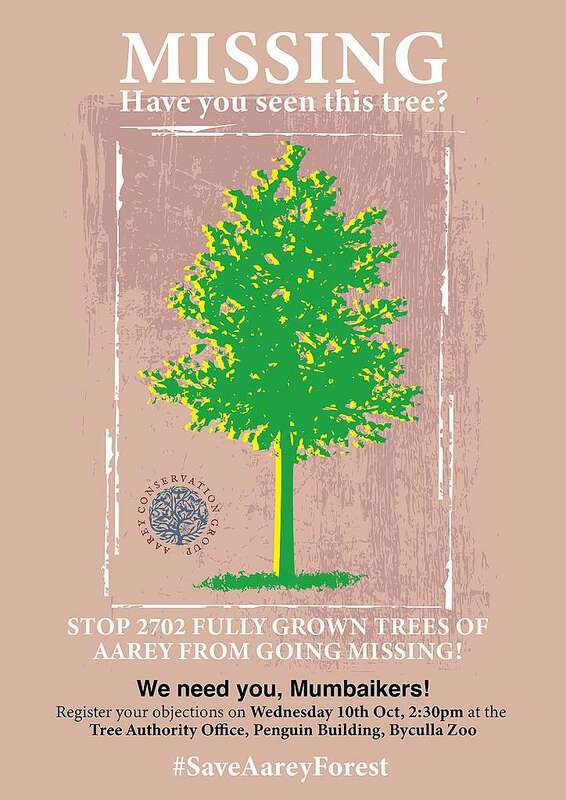 Cut to 2014, citizens found tree cutting orders pasted on trees of Aarey. The land was supposed to be used for a metro car shed. A red grade polluting activity right in the lap of an Ecologically Sensitive Zone on the catchment area of the infamous Mithi river. Infamous for being the most polluted river and it’s not a concrete area, a major cause for flooding. Enter citizens, we object tree cutting, we object change of land use, we object ecological destruction, we ask for options, we suggest options, we live to dissent. The experts dissent. And we are all called Anti- development. “Let us never forget that government is ourselves and not an alien power over us. The ultimate rulers of our democracy are not a President and senators and congressmen and government officials, but the voters of this country” (Quote by Franklin D. Roosevelt). A pseudo democracy; we do not believe in dialogue. And we certainly do not believe in debate and dissent. Therefore, our questions are either ignored or opposed. Neither our queries were answered. After a lot of lying and vilification, the truth was finally out. The Eco Sensitive Zone of Aarey is now a hotspot for next Bandra Kurla Complex. 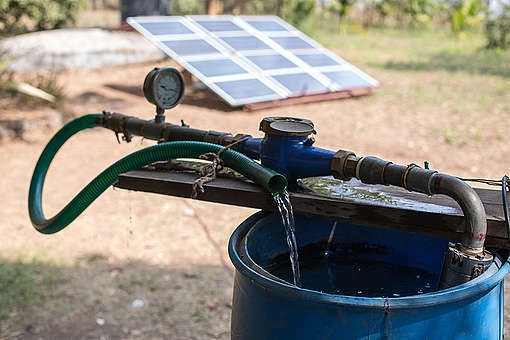 The proposed metro car shed will have a commercial centre that will fund the project and hence Japan International Cooperation Agency (JICA), the other funding body involved, seems to have washed its hands from the responsibility of promoting sustainable development. How the tree cutting authority got this permission and why National Green Tribunal (NGT) is becoming weak is an issue. Political banter assured citizens some form of support. The Tree Authority of Mumbai, supposedly under the Shiv Sena, promised their full support to the environment of Mumbai. But ended up giving a conditional permission despite the objection last year. 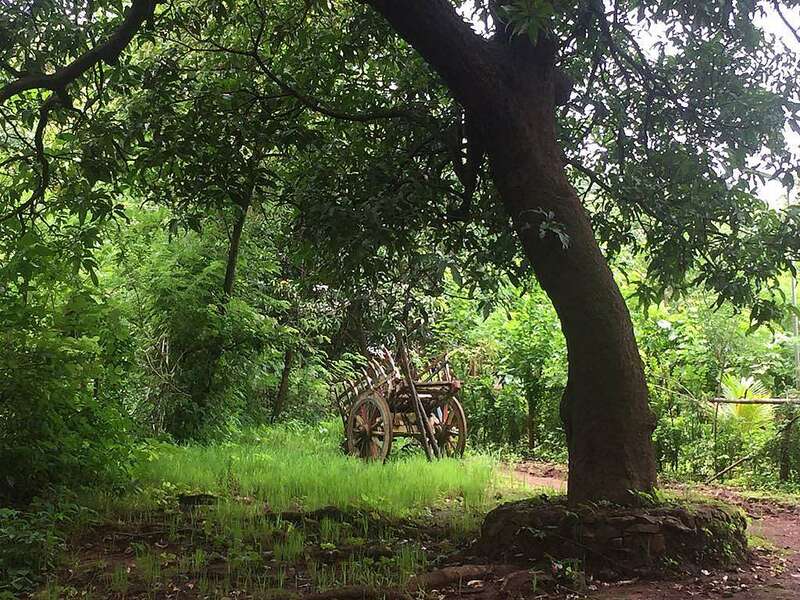 444 trees of Aarey were put under the axe by the Brihanmumbai Municipal Corporation (BMC) under the clause that if NGT gives a favorable order. 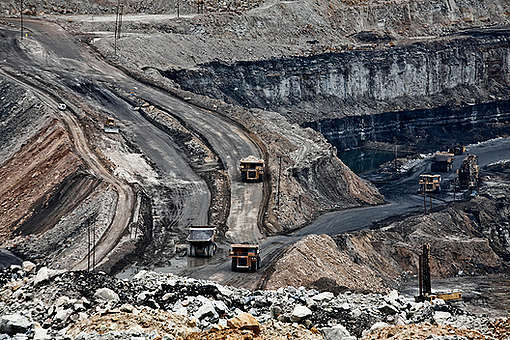 Although the crippled NGT was always frowned upon by Environmentalists, there was some hope that the NGT would pass a favorable verdict whereas it ended up showing its helplessness due to lack of jurisdiction. As of now, the tree authority of Mumbai has asked the citizens if they can cut trees. The notices that most Mumbaikars are oblivious to, managed to get over 30,000 objections both in the form of email and letters. It is not impossible to get support when the cause is good. And we have proved it. The 10th of October will be a historic day for Mumbai. We want to walk out of the Tree Superintendent’s office victorious. After saving our 2700+ trees, paying tribute to the 200 odd already dead and the other 250 sitting in a limbo. 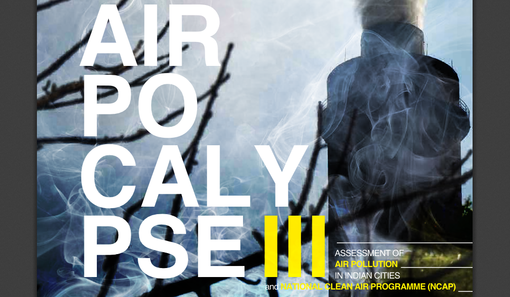 Airpocalypse III analyses air pollution data of 313 cities and towns for the year 2017. Of these 313 cities, 241 (77%) had PM10 levels beyond the NAAQS.